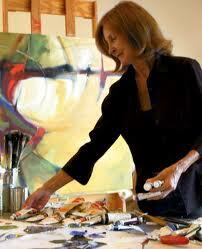 Eva Carter has been a fixture in the Charleston art scene for nearly 30 years. 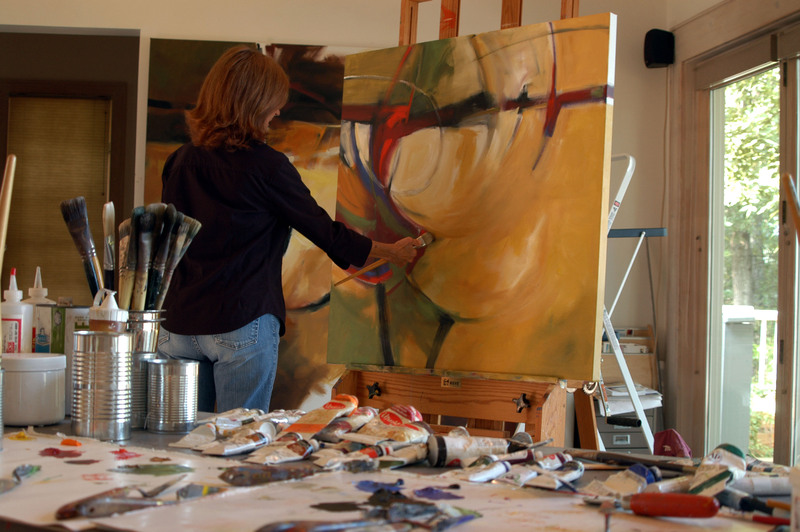 Her large abstract works in oil have been described as paintings drenched in color and brimming with movement and emotion. A spiritual connection can be drawn between her paintings and the ambiance of the natural environment. Although she doesn't paint the literal landscape, her inspiration is charged by the idyllic setting of her Wadmalaw Island studio where she watches the ebb and flow of intercoastal tides or a fading light on the watery horizon. There is a balance of energy and grace in Eva Carter's paintings and it is that distinctive perspective that has won her national acclaim. 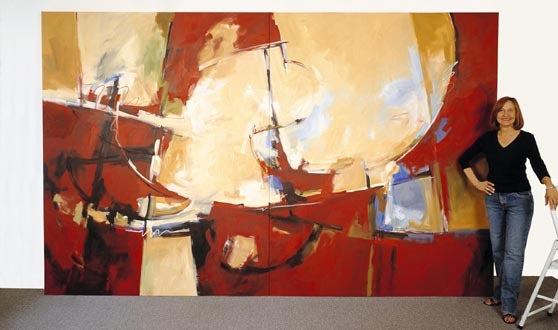 Her abstract expressionist paintings have been included in numerous exhibitions at gallery spaces, universities and colleges, as well as museums throughout the Southeast. Ms. Carter has had solo exhibitions throughout the United States and her work is cherished by collectors in many countries. 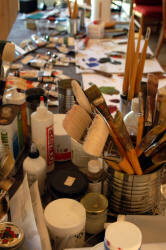 "For me painting is a state of being, rather than a state of mind. As I work, I respond to each stroke placed on the canvas. The painting itself tells me what to do next. When I get into that trancelike process, the oils just flow." 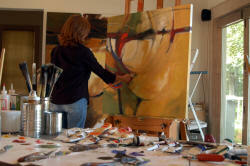 Eva Carter works in a studio on the intercoastal waterway in Charleston, South Carolina. Like the mix of fresh and salt waters in Charleston Harbor, Carter’s expressionistic paintings commingle diverse life experiences, which include three distinctive stages in her life: her upbringing and education in rural Tennessee, her extensive travels into the desert southwest, and her mature life steeped in the tradition of the historic south. The blend of all these external influences is reflected in Carter’s emotional juxtapositions of delicate tones and saturated hues, from verdant mountain greens, to marine blues, atmospheric lavenders, arroyo beiges, aspen golds, and chili reds - colors that she illuminates with darts of light or penetrates with gashes of black. Although inspired by the environment and natural phenomena, Carter observes that it is not the literal world she conveys but rather her internal response to her passage through the world. For her, that passage includes the depths of her subconscious, as well as her dreams. "I paint for me, but the universal emotions translated to viewers are the connections that excite me. I don’t have a map when I begin the journey. 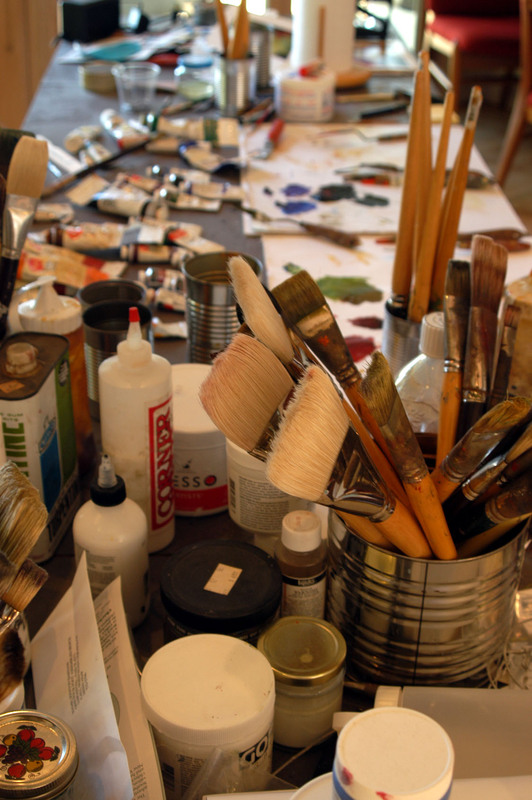 I just step up to the canvas and let intuition tell me where my brush should travel." As with classic Action Painting, Carter invites the viewer to join her in the physical act of creation by leaving her gestural strokes fresh and accessible. Viewers connect to her journey through the visible pushing and pulling of paint and in the size of the canvases, which are often so large that they engulf the petite artist and dominate the rooms in which they are displayed.